I feel so out of sorts getting this link party ready. Taking a week off for Thanksgiving has thrown me off! Thank you everyone for all your super kind words about my son’s appendectomy. I’m sure you are sick of hearing about it! I just want each of you to know that I appreciate you. Thank you. 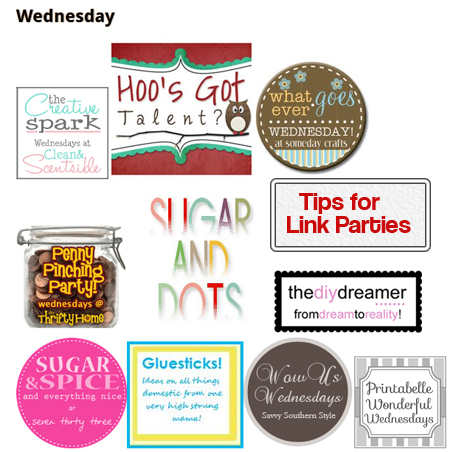 Check out all these awesome posts linked up last week! You guys are so talented. 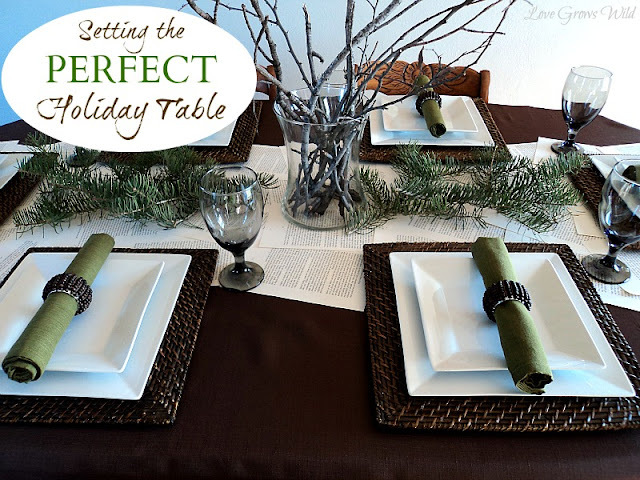 Love Grows Wild shares a beautiful holiday tablescape. I am swooning over this teen girls room from From New House to Home. 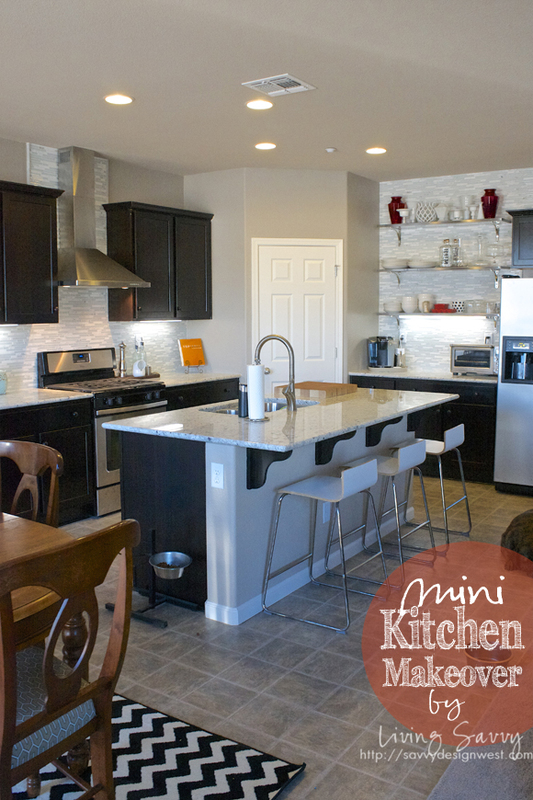 Living Savvy gave her kitchen a mini makeover. It’s so fresh and light. 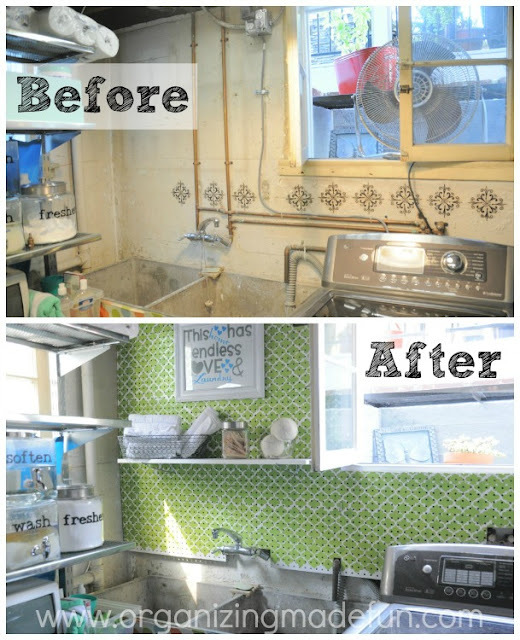 Organizing Made Fun shares how easily to cover up a wall with exposed pipes. Isn’t her laundry room so pretty now?! I a just going ga-ga over this adorbs bowling party from Dixie Delights. Check out those cupcakes! Get your Christmas Tree crafting on with AliLilly, who shares a bunch of crafty tree ideas. Okay, well now I just feel dumb. Pink Recipe Box shows how ridiculously simple it is to make your own powdered sugar. I can’t wait to try it out. 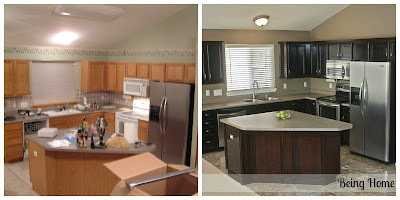 Being Home shares her updated kitchen. It looks great! 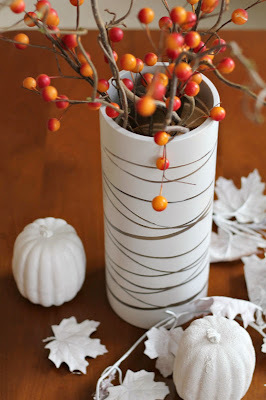 Make a bark painted vase using Turtles and Tails easy tutorial. These ruffled curtains from Painted Therapy are so fun! Creatively Living carves out a little office nook in her home. So glad to hear your son is doing better. What a start to the week! Take care! Thank you so much for hosting! Beautiful features this week! I’m so glad to hear your son is doing better! Hugs to you and your family. Thanks for hosting Allison! Very glad your dude is on the mend! Thanks for hosting, lady! Glad Travis is doing well! Hope your son is healing well. Thank you for hosting. 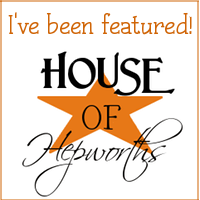 Thanks for the feature! I hope you had a wonderful Thanksgiving! Thank you for the feature. I had to pick a day to feature and it happened to be Wednesday. I appreciate the work you put into the link parties and I hope your son recovers well. Glad to hear that all is well with your son. I was following along on Instagram. Yay! You just made my evening! Thank you for the feature. I am so happy your son is doing well. Absolutely love his positive outlook on the whole experience. Kids are great teachers and reminders about life. 🙂 Hope all of you are getting some rest now. So happy to hear that your son is all better! I’m so excited to see my daughter’s room featured among all these great projects! Thanks for hosting in the midst of your very eventful week – I’m so glad your son is home and doing well! Thank you so much for the always wonderful party! Glad your son is ok too! I just read about your hospital visit! What an ordeal! I’m so glad your son is doing better – what a scare! Thanks so much for hosting Allison! Kids are resilient, aren’t they? They never cease to amaze me! Glad to hear he’s doing well… Now you just need some R&R 🙂 Thanks for hosting! Thank you, Allison! You are the best! Glad you liked my project! So happy to hear that your son is doing better! Thank you so much for hosting your party this week…especially with all you had going on! Glad to hear your son is doing ok! Thanks for hosting the party again (even with the hectic week you had!). Thanks for hosting. Hope your son is healing quickly! All linked up with my Christmas bedroom! Thanks for hosting! I am glad to hear your son is resting comfortably. Thank you for hosting this great link party. There are so many fun ideas. Thank you for hosting the fun party, even after the week that you’ve had. I’m so sorry to hear about your son, I hope he recovers quickly. I know how it can be to have a child go through that, my 2.5 year old had to have his out last May, and they wanted him to hold still and not be very active for 2 weeks after. That was a joke! Anyway, I hope your son doesn’t have to sneeze or cough! I hope your son feels better soon! Thank you for hosting the party! So glad to hear your son is doing better! Thank you so much for hosting (and even during a crazy week)! thanks fro the wonderful party Allison! OMG! Thank you so much for featuring my ruffled curtains. I really do love them so much. Thanks again! Thanks for hosting your weekly party Allison. Hope your son feels much better. Thank you SO much for featuring my bowling party. What a fun surprise! !